Where weight reduction with consistent stability plays a major role, modern materials are capturing ever more applications. Products of lightweight design, particularly those made of fibre composite materials and multimaterial systems (CFRP-metal multilayer composites), are also becoming increasing common in the aerospace and automotive sectors. Here lightweight design is also playing a crucial role in the introduction of electric mobility. Lightweight materials have in the meantime become established in wind energy converters and are increasingly common in machine tools, industrial robots and the consumer sector. During tool design the focus is on the avoidance of delamination, formation of burrs or fibre projections on the part. PCD-tipped inserts or special diamond coatings on solid carbide tools provide long tool lives even with extremely abrasive materials. 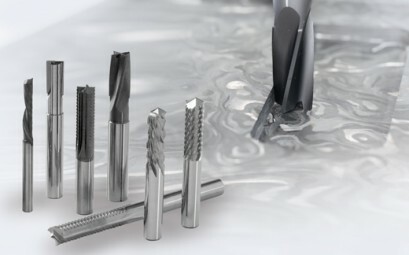 The MAPAL range includes tools for drilling, milling and reaming CFRP, GFRP, titanium, aramide, soft foam, plastics and CFRP-metal multilayer composites (stacks). 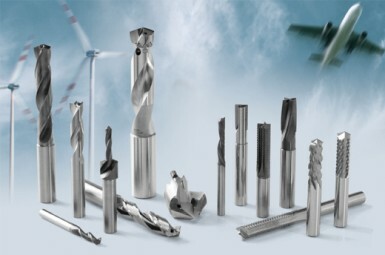 For machining bores in modern materials such as CFRP, GFRP, or CFRP-metal multilayer composites (titanium and aluminium), MAPAL has developed special tools that prevent delamination and fibre projections. Depending on the application, they have special geometries, high-performance diamond coatings or cost-effective replaceable head systems. 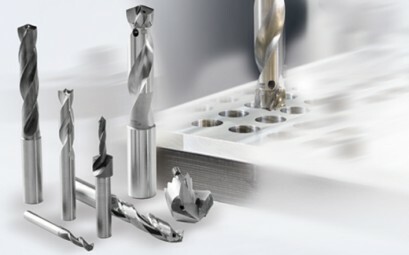 For the production of breakthroughs and pockets, for trimming the outer contours and for milling surfaces, MAPAL offers solid carbide end milling cutters with a diamond coating and PCD and CVD-tipped milling cutters. They impress with very good machining results. They prevent delamination at the edges produced on the parts parts and permit short machining times and long tool lives, without costly re-work.